Three different pool tables, three different homes, one zip code. 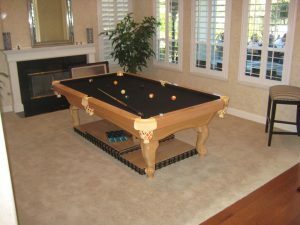 DK Billiard Service helped some nice folks get their Memorial Day parties in Coto de Caza, CA started. 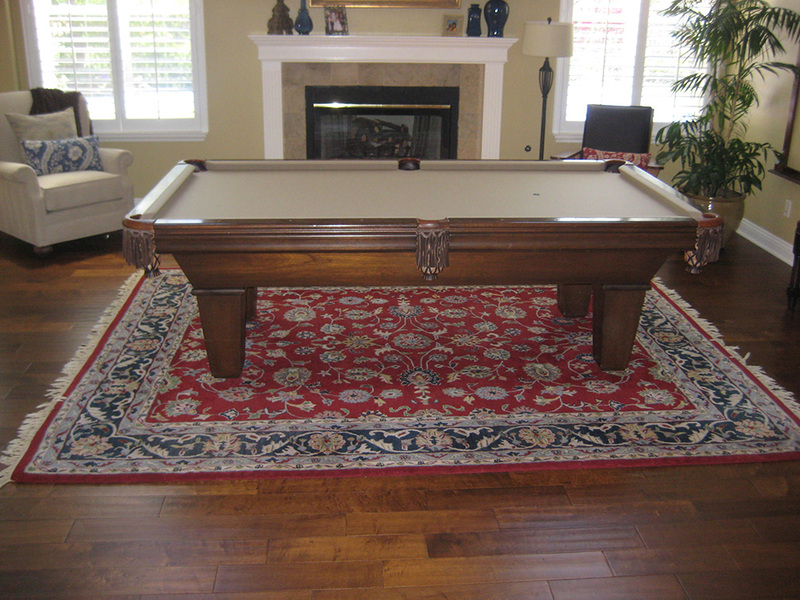 First, we finished up a setup, refelt, recushion job on an old International Billiard Table. At thirty years old, this pool table still looks great and with the new cushions plays like it did when it was new. 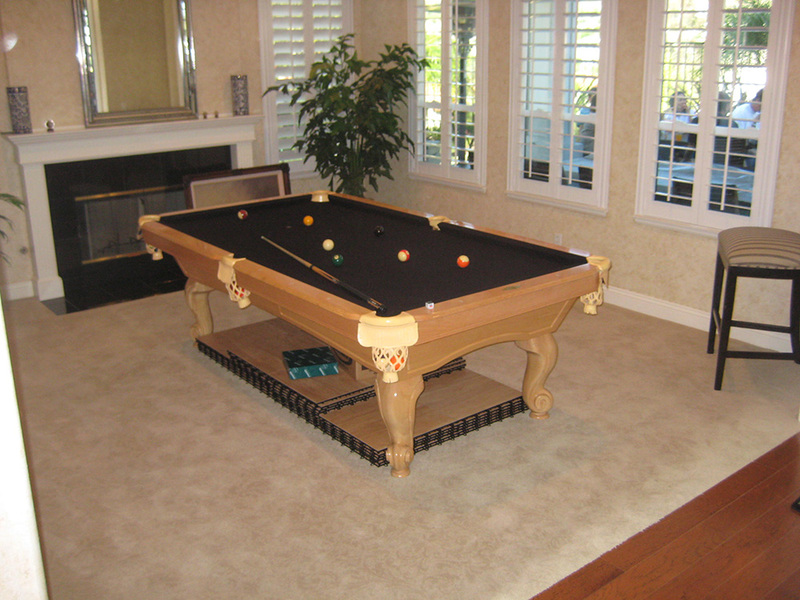 Next, we drove a few blocks over to finish up a Before and After pool table. After repairing the two legs, we put the pool table all back together with new cushion rubber and new burgundy felt. Last, we finished up a few blocks away putting the rails back on a six year old Pro Line pool table that had “dead” cushions. And luckily we were able to save the existing black rail cloth, saving the homeowner about a hundred bucks. As we packed up our tools and started to head out, the crack of the balls of the first game let us know the parties were just getting started.